Phenibut, or fenibut, is a derivative of the neurotransmitter GABA. Chemically, this medication breaks down as beta-phenyl-gamma-aminobutyric acid and, according to the website, Chemie.de, is both a nootropic and anxiolytic drug. The National Center for Biotechnology Information reports that this product works to relieve tension and to improve sleep in some individuals; it is commonly prescribed in Russia for anxiety and sleep disorders. Phenbut is available through muscle building and dietary supplement websites in a nonprescription-strength formula. Some users claim that phenibut is addictive and leads to withdrawal symptoms, Chemie.de reports. Symptoms of phenibut withdrawal include sweaty hands, insomnia, reduced appetite and anxiety. According to Chemie.de, insomnia can be severe. When taking this product, reduce the dosage slowly over time to avoid withdrawal symptoms. It is possible to build up a tolerance to the affects of phenibut. For example, if taking the product to improve sleep, after one week of using phenibut, sleep problems may recur. Chemie.de suggests taking the drug for just a short time or starting with a low dose and increasing it after two weeks. According to Chemie.de, dosages in clinical studies ranged from 250 to 1500 mg daily in three doses. 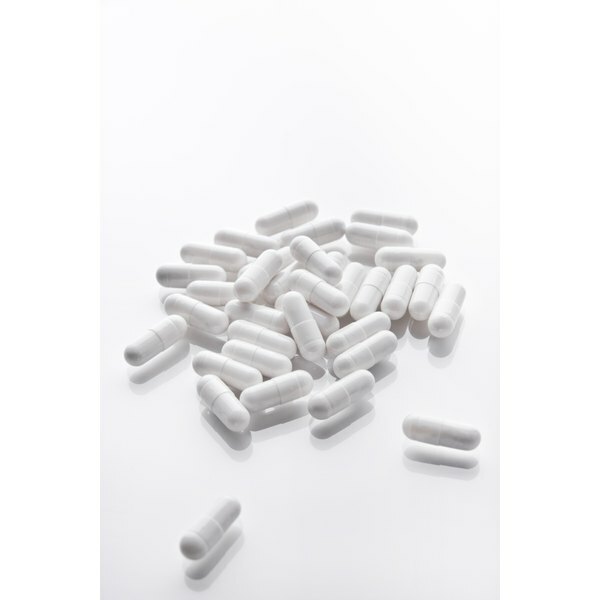 Ideally, do not plan on taking phenibut for long periods of time. This medicine will not help in the long term and the more you take it, the more difficult withdrawal can become. Phenibut may cause problems for those taking other medications. Known interactions occur with MAO inhibitors and drugs to control epilepsy. You should not take this product, even in low doses, if being treated for any chronic illness or if you are taking any prescription medication. Some supplements may reduce the effectiveness of prescription drugs. If considering an over-the-counter supplement that contains phenibut, talk to your doctor first. Distributor Muscle and Strenght.com states that those taking opiates and phenibut will have enhanced effects. If taking a stimulant, the phenibut will reduce the effectiveness of the second medication. In some individuals, phenibut can cause excessive drowsiness. You should not take this medication if driving until you know how it will affect you. Muscle and Strength.com: Phenibut Information & Product List: Does phenibut have any side effects?